Semiconductor Engineering - Buzzwords: Dead or Alive? Semiconductor Engineering - Buzzwords: Dead or Alive? Home > Low Power-High Performance > Buzzwords: Dead or Alive? Time-to-market and time-to-volume are major accomplishments. They’re also a requirement. 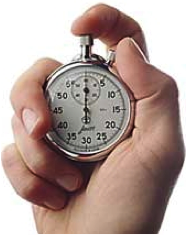 “Time-to-market” and “time-to-volume” – are they overused marketing buzzwords? Until recently, I would have argued yes. After all, it seems like very few solutions in the semiconductor supply chain are not marketed along the lines of addressing time-to-volume or time-to-market challenges. But just because buzzwords become trite, it doesn’t mean they aren’t still relevant. In fact, perhaps it is just the opposite. During a presentation at the recent TSMC Open Innovation Platform Forum, there was a reference to shortening time-to-volume windows for consumer electronics devices. I’d seen the data before, as Semico has published it for years. But perhaps I had become de-sensitized, because it was the context that proverbially whacked me over the head and made me more carefully consider and appreciate the time-to-market and time-to-volume challenges the industry faces today. From the time black-and-white TVs were introduced, it took nearly 20 years for 1 million units to be sold. When color TVs came along, that time span was cut in half with the first 1 million units sold roughly over a decade. Then, it took just about 7 years to move the first 1 million VCRs, but it took just a year to move the first 1 million DVD players upon their introduction. Apparently, it took 74 days to sell the first million units of the original Apple iPhone. Now, Apple’s latest version of its smartphone, the iPhone 4S, topped 4 million units sold the first weekend it was available—including 1 million pre-orders in the first 24 hours—in what was a new record for the iPhone. Take a moment to think, or rather appreciate, what it takes to get a product like this to market. Consider the entire supply chain from design, sourcing, prototyping, and ramp-up, and the many players participating in this supply chain: semiconductor, third-party IP, design tools, design services, foundries, materials vendors, distributors, test and packaging, software and content providers, OEMS and much more. Time-to-volume is not merely a buzzword. It’s a major accomplishment. And what do you do for an encore? Consumers will continue to demand their products to be smarter, faster, better … and cheaper too, of course. And these aren’t just new products, but replacement products as well. Time-to-market windows will continue to shrink, and reliable time-to-volume will continue to be vital. So the pressure on the design chain will continue to grow. Do you really have any time for re-spins or delays when you’ve got a customer like Apple breathing down your neck to deliver so volume can be ramped for millions of units to be delivered in a window of mere days? First-time right, time-to-market and time-to-volume are all alive and well, but now they need to be underlined, in bold, with three exclamations coming after them to articulate the urgency and importance. How will the EDA industry keep up and meet the challenges of time to market (!!!) and time to volume (!!!)? I don’t know the precise answer. But I do know that there is no other option. –Tiffany Sparks is senior director of marketing communications at Atrenta.